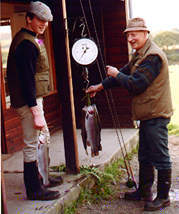 The lochs are stocked daily with prime hardfighting fish to give a good days sport for everyone. 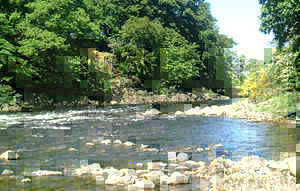 While the mile and a half of the River Awe provides some excellent if not challenging Salmon and Sea Trout fishing. The Angling School is ideal for the beginner or those who want to freshen up on their technique. We have some really fun competitions at the bottom of the page which are open to everyone who comes fishing. 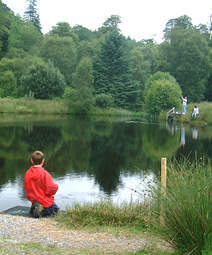 The ticket covers fly fishing on any of the three lochs. 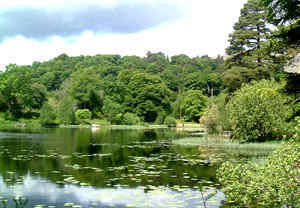 The Hydro loch down by the river, the Inverawe loch overlooking the house, and the Lily Loch up in the woods. All three provide an excellent day of varied fishing. Morning Tickets available from 9-10am, afternoon tickets from 1-2pm. Named after my great nephew, Hugo, it is a brilliant wee loch, heavily stocked with smaller fish and guaranteed to give an enormous amount of pleasure to the beginner. On one of the most picturesque stretches of the River Awe, the Inverawe Beat and Lorne Beat are ideal for getting away from it all. This varied stretch of river starts in the narrows of the Red Rock pool and ends up gently meandering through the pastures to the mouth of the river. With the many types of waters on the estate the angling school can offer you a 'flying fish' start. Half Day Lesson includes a one hour lesson where you will learn the basic fly fishing techniques including how to tie a fly onto a line, casting and how to despatch your fish. After which you have another 2-3 hours practice, with the instructor close by. Starter Lesson for under 12s. A quick 15-30 minute lesson to learn how to throw a line and reel in a fish. Brilliant to get the enthusiasm going. Starter Lesson £19.50 9.15am, 11.30am, 3.30pm during July and August under 12's Only.